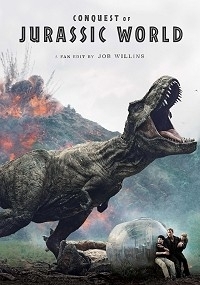 Conquest of Jurassic World by JobWillins - This is an editing project combining material from Jurassic World and Jurassic World: Fallen Kingdom into a flashback structure. Running about 2.5 hours, this edit tries to strengthen the lead characters’ arcs by giving Claire more agency and making Owen a bit more flawed. By inter-cutting the films I tried to emphasize the themes of hubris and contempt for nature that tie more directly to the original Jurassic Park. I used roughly 60 minutes of Jurassic World and 90 minutes of Fallen Kingdom. This is the discussion thread for Week of January 27, 2019 – New Fanedit. Post away!